Fumigation - free plywood cases or as per customer' s requests. 2)Size: 1/2' ' - 48' ' (DN15 - DN1200). 3)Wall thickness: Sch5s - Sch160. 4)Standard: ASSI, GB, JIS, DIN. 1. Size: 1/2" - 48" (DN15 - DN1200). 2. 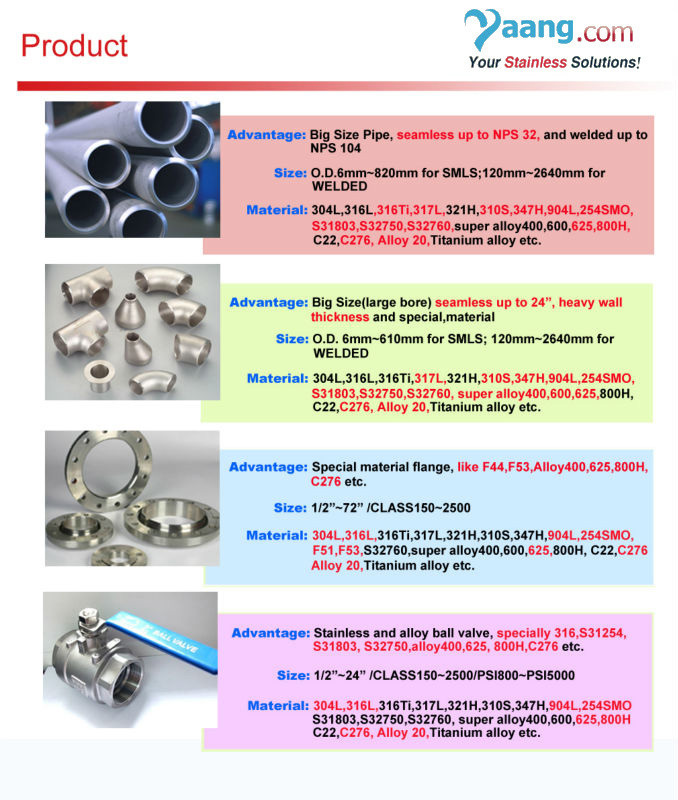 Wall thickness: Sch5S - Sch160XXS. 3. Material: 317L 304/304L/304H 316/316L 321/321H 309S 310S 347/347H 904L DUPLEX2205. 4. Standard: GB12459 - 90 GB/T13401 ASME/ANSI B16.9 ASME/ANSI B16.28 MSS SP - 75 JIS DIN. 5. Packing: Fumigation - free plywood cases or as per customer's requests. 6. 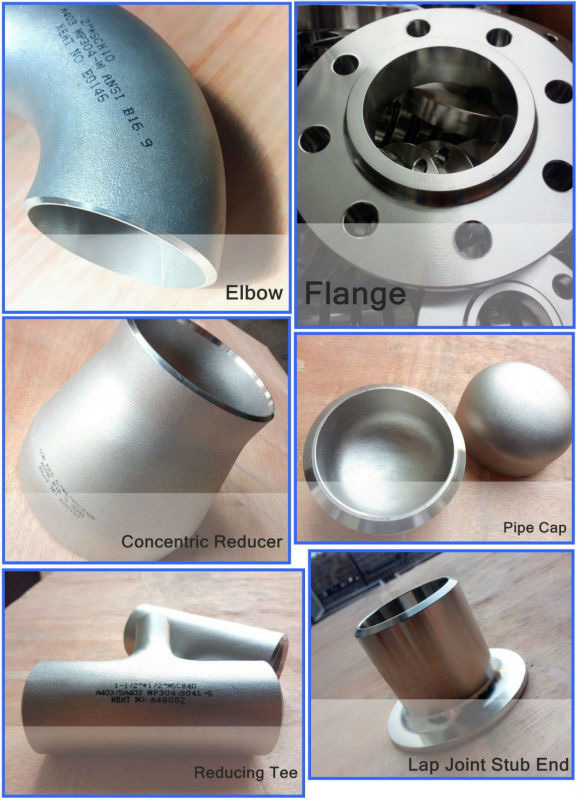 Application range: For use in the Petroleum, chemical, power, gas, metallurgy, shipbuilding, construction, etc. 7. 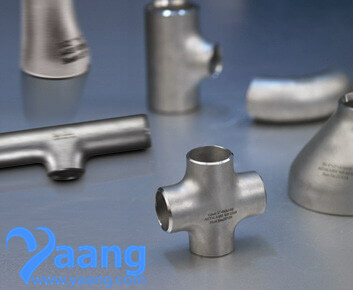 Primary competitivadvantages: High pressure resistant and High temperature resistan.